Of corse we can just go by word of mouth but I think video footage will be the most enjoyable for other members . Should be new footage not old. A lot of these challenges leave it open to try 1000s of times with the video camera running. Some how beer seems to be the answer to all our threads.... Hmm.....seems about right. Had a good atempt at curving around a tree yesterday . Was coming close to Diana at 10 m but no direct hits . Thinking about it and I think we should have a (beer) can challenge . 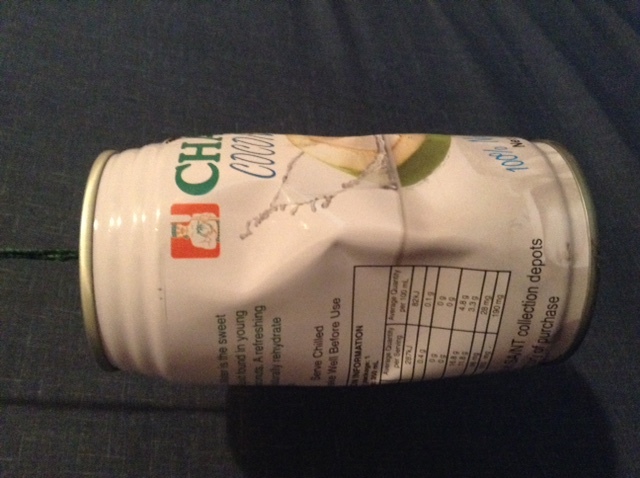 Any feat where a sling is used to hit a can . It really would make for the best highlight reel!! The Inca king Guayna Capac, according to a written tradition, was going to war on red stilts from which he fired his sling with gold shells. I just spent the last hour practicing with a can as a target from 5 m.
I must say I had over 100 shots (guessing) and only 7 hits. 5 direct and 2 glancing. Gonna be harder than I thought. Going from the 50cm disk to a can. @Mersa by glancing you mean indirect(hit after bouncing) or to the side with small damage? Its hanging on string so if you don't nail it it just moves to the side. I'm throwing in my dining room with a small ball. Had another 30 minutes or so . Getting better, hit maybe 10 out of 60 throws mostly glancing but. I'm waiting to have a good go outside with some rocks. So I got to have a go at hitting the can today at the range. Unfortunately I was rained out early and had no hits on the can. However my accuracy was much better than normal even with rocks as ammo. 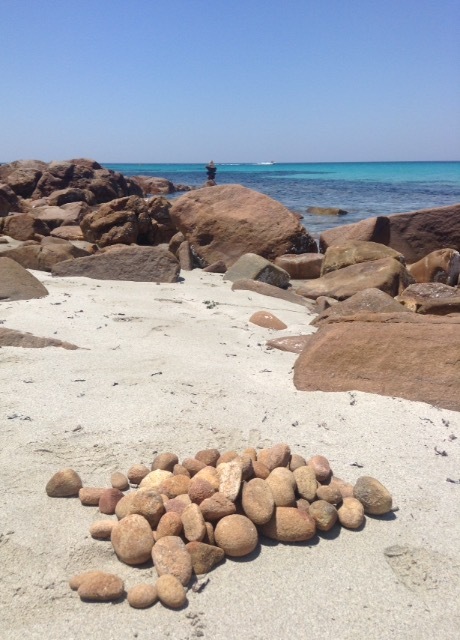 I usually find the rocks at the range(limestone from 4x4 tracks nearby) hard to aim as there all different shapes and weights. I don't normally find my rhythm like I do with more uniform ammo. But today I was hitting the board the majority of the time with misses curving more than bad aim or release. I took a little warming up but had the best day at the range yet. Of course my first shot at the can was the closest. Skimming the top left and hitting the string it was tied to. Soda cans are difficult with the best of ammo. If my concrete stockpile isnt ruined im going to make some ammo up and get some practice in. Might be able to get a video up. Another unsuccessful attempt. So many close calls . The angles really open up over 10. And camera makes me nervous. Screenshot of my can on a stick. Much success in my 5m indoor range. Able to hit the can a lot of the time now. Still nothing outdoors with hard ammo. I haven't forgotten I'm still trying. Sorry guys I've been moving and haven't had much time to put into this. Had some good progress. Able to hit the can at 5 m almost every second or third shot. And had some success at 10 and 15m but yet to try get it on film. I have not forgot about taking part. Life has been so busy I have virtually no free time these days. (I sneak on the forum at least thanks to my phone. :P ::) I enjoy taking part in these sorts of threads, but its been difficult i.e. impossible, to get any practice in. Nice job on the target practice. Sounds like you are making good headway. Those soda cans can be wily little buggers. total of 80 sling throws. Are your hand throws with no sling just for comparison?? 1/80 from 20 m with the sling ?? I have a new spot for practice so I should make some progress soon ! no . it was for warm up and better feel. i'm not left handed so all that throwing was awkward, but i think starting from the basics helps. If your trying to hit something and you do then it's more than luck!!! 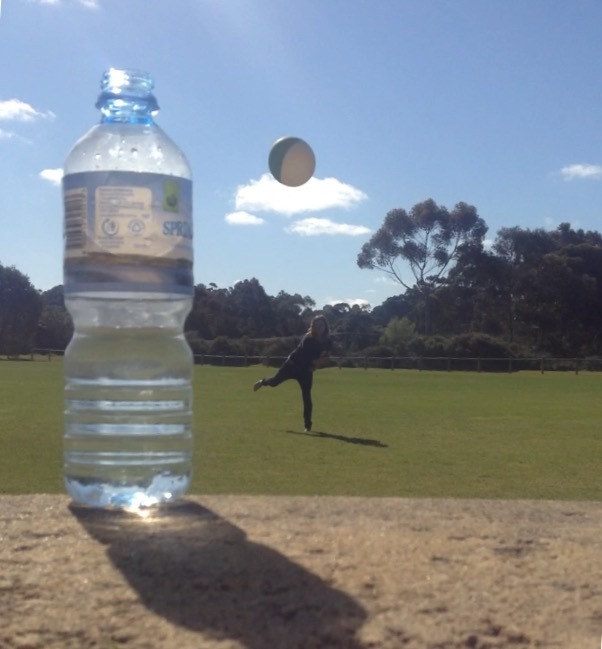 So here it is , half filled water bottle vs 26g rubber practice ball 45mm dia from over 10m( roughly 15m). I had so many bloopers hitting the camera and on the rebound. So many close calls but persistence paid of , got it done in around 1 hour. Sorry CA I have to post this one. Good shot! 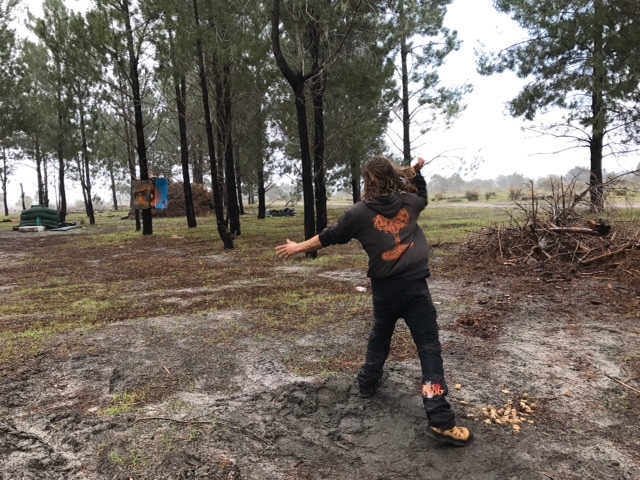 I wish I could be out slinging (especially in weather like you've had) but the flood waters have yet to recede and it still drizzles every few hours. Miserable weather. I've given up hope of slinging (except maybe singing ice balls) until next year. Nice video. Thats my favorite angle for sling videos, especially with small targets. Do you feel like you are getting more accurate? Well I'm much more accurate than when I started slinging. I got really good with this ball a while ago but I've been practicing with rocks lately. Feel like it took longer than it should have today. I have noticed when switching between different sizes/weights my accuracy goes completely to pot. It's quite surprising how quickly the body adapts and then falls into a rhythm with a certain type of ammo. I actually started getting reasonable grouping straight away I just couldn't hit the bottle/can , I started with a can but it kept blowing away , I had no water at that point and the can I was using was 200ml where as the bottle was a little bigger at 600ml . I hit my phone (camera) 3 times and phone went flat so I had a break In between can and bottle. With rocks I find that the way it releases from the pouch effects my accuracy most if I have smooth rocks I have a much more consistent grouping. With the changing weight maybe there is some possibility you can adjust, (maybe? ), especially if you practice a lot at it. With poorly shaped ammo, its virtually impossible. Not sure why it took me so long to understand that as a slinger, but once I used a really good, consistent set of ammunition for awhile and then switched back to poorly shaped ammo, it became apparent real fast how badly it can affect your accuracy. Im convinced people who dont see a big difference arent slinging at small enough targets for it to matter. I've been trying to switch it up between tennis balls and rocks (and a giant ball bearing) and so not rely on just the one type of ammo too much. It's good to practice a variety of weights and sizes and densities in my opinion. Yeah I agree, consistent ammo makes training a lot more progressive. It transfers some of your aiming to odd shaped projectiles but bad release tendencies and aerodynamics make grouping hard. I want to try get a few more days were I can practice soon. Still need to sort out a good hunting ammo. Im super uncoordinated with my left side. Everything sport wise anyway. Anyone had any chance to try anything??? Yes sir. Long ranges sure reveal alot. Great way to get better on accuracy if that interests you. The best way I know to get a perfect release: use light ammo and longer distances (40-50 meters). It will really magnify all your problems. If you can get accurate doing that, you are just plain good. Been practicing lately but haven't got any footage . Starting to find I have weird trends in my accuracy . Too much ammo variation , balls rocks fruit metal. So I had a good day practising today I started on odd shaped rocks but got frustrated with the inconsistency of the flight of some of them and the time it was taking to find the smoothest spherical stones. I stopped practicing there and went to my usually spot where I practice with my rubber ball. 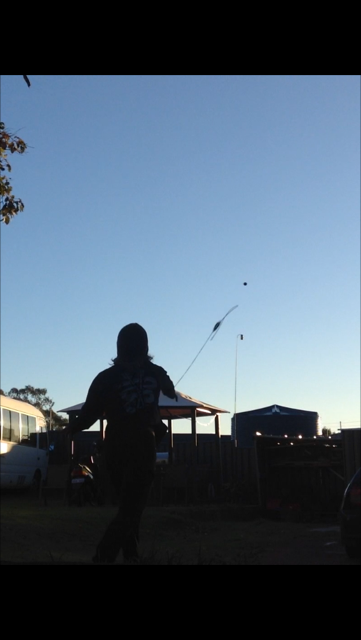 Had a good day hitting the bottle from 10m quite a lot and getting consistent grouping. Then I got the camera out. As usual this messes with my head and I lose my rhythm. I finally made some progress later on. Then I got the camera out. Also as usual I post the videos in the end of a thread page so they get missed. Typical day of trying to get footage. Cameras out targets safe. Tried 20m shot on glass beer bottle with stones. Got it on 2nd shot after I turned camera off. Wish I got it on film. Absolutely obliterated it!! Just jugding by your posts it sounds like you are really improving. I've made a big improvement in accuracy over the last 5 months since I joining this forum. Been trying my best to throw at least once every few days. I'm going to give it a good go and try get to Mallorca one year. Slingers joined a society or union, and acquired the title of "foner" (slinger) if they passed the following test: fire nine shots hitting each of the crossbars of a traditional gate. in the past i 've achieved to hit upright sticks or a hanging rope from up to 15m distance, of course with not enough consistency to call it skilled shot and not lucky. I'll try find a gate and give it a go!! It's interesting that you mention this. Because, I actually don't notice a massive difference in accuracy with changing ammo. And I like small targets like cans. Actually, the best accuracy I've ever achieved (and this is completely subjective, no hard data) was one bow-hunting season about 5 years ago, when I got my deer on the first day, so I had lots of free time. I started off by missing a grouse like 10 times in a row, until I ran out of nearby rocks, and it still just sat there. After this I was inspired to improve, so I would sling for like 3-4 hours a day. By the end of the week, I was hitting 6" trees from about 20 yards away 1 out of 5. It felt amazing. i felt like I could actually hunt something. But I never saw another grouse after that. Anyway, during that period, I was just picking up weirdly shaped and inconsistent rocks from the forest and along a dirt road. Didn't seem to make any difference. Maybe there was a difference and if I had consistent ammo I would have been even better. I dunno. Mersa, You should try this technique. When you film yourself, just film everything, and don't think that you are going to post it. It's just archival, for your own records. Then if you do get something good, you can post it. I find it calms the nerves if I don't think that I need to post anything. (and sometimes I don't). I did this once and the memory card got full just as I started performing . i need to free up some space on my phone so I got more chance with it. I have had maybe 10 -15 shots on rabbits in real life with the sling with mainly rocks but also a few clay glandes I made. All were misses but most were within a meter. Surprised that the rabbits arnt more scared by the windup. Some don't move at all. Had 2 were I was able to take a second shot somehow. I also may have got a rabbit but this isn't confirmed by any means read story here. Who knows. I know I've had some slinging sessions where it didn't seem to matter but over all when slinging every day and keeping track of my hit percentage it made a big difference for me. I could see if the stones were fairly heavy and not overly weirdly shaped. I've not had that experience with jagged and otherwise poorly shaped ammo. I would say though, generally speaking, that I would be asonished if it made no difference simply because we don't know of any other weapon where imperfect ammo doesn't make a difference. Some of the things I've noticed are changing drag (affecting elevation), planing into the wind, inconsistent release timing (very slight but when rotational speed is so high and the target so small even a fraction of a second can be a miss) and maybe a few more things that I can't remember off hand. You are probably not alone in this though. I find myself being an outlier on a lot of my target slinging views. Strangely enough, as much as we have debated over the years, I find myself agreeing most with Jaegoor. But I'm open to being wrong on this one. In fact I really hope I am. Sure would make life easier. I'll agree with you there morphy. Some days it don't matter what I sling If I'm slinging bad I'm slinging bad and same applies for good days . In general I find that smooth roundish rocks can get consistent grouping but the Jaggered flat spuare edged stuff can just go anywhere . Aerodynamics and smoothness of release are the main things. I can ajust to weight within reason and size of projectile if the release is smooth and the aerodynamic profile is nice. That's been my experience as well Mersa. That being said I don't doubt you IronGoober. Before I settled on manufactured ammo as my favorite I had many good slinging sessions. I think getting better at slinging is a little like losing weight. You many not see the changes as much because it's so incremental. Over time little changes add up to big ones though. I remember when I first started slinging seriously. The first year I didn't feel like there was much improvement. Then I went back to my old target and started slinging at it. I remember barely being able to hit it before. But now I was hitting it all the time. That's sort of how I figured out the obvious that I was getting better. Probably with all that practice you did get a lot better. Do you feel like you are better than you were back then, now that you are using lacrosse balls IG? I'm definitely not as accurate as the magical week, but I do feel like I am generally more accurate than a few years ago. My impression when I first started using lacrosse balls was that I wasn't any better off than before. But it is possible that I am getting a bit more consistent because of the fact that I'm using consistent ammunition. I didn't really think about it at first, but I do seem to be improving, and at a much more noticeable rate than before. In favor of consistent ammo may not matter, I present this evidence. If you watch the rest of his stuff, he is pretty darn good and uses similar rocks to the ones he shows here. i 've been watching his vids and he is very good. This thread just got very interesting. I can't post much at the moment but will later today. Thanks for posting that IG. He's good but I bet he would be even better with a bag of equally weighted and shaped glandes or spheres. Also both target and projectile are quite a good size, smaller they are the harder it gets. I know back when I was using a standard Balearics bullseye which is something like a 19 inch diameter circle it looked really tiny on video to the point that I started zooming in the video. That was at 25 yards. He's also visible in the shot meaning the camera is further back than it would be otherwise. I can't really say what size his target is. It could be smaller and he might be closer but if I had to throw out a random guess I would say it's around 15 inches in diameter and hes maybe 15-20 meters away, max. Maybe closer. Not to take anything away from his slinging. He's obviously spent a lot of time practicing. It's just if we are discussing this topic of what part good ammo plays we have to go into it with a definition of what constitutes "good slinging". The other part of it is the size of the stones and the speed he's slinging them at. Larger and slower moving stones are much more forgiving. Less planing, slightly off kilter spin is less a factor and of course the slower you release, theoretically the longer release window you have to hit your target. Lots of things we could discuss on this topic. I would like to see how it does on smaller targets further away. I don't think we can see a big difference unless we extend the difficulty level out to a further range. You need to be closer to the physical limitations of the weapon/human body. i don't exactly understand your point. he hit 2/5 a balearic bullseye 20-30m. definition of what constitutes "good slinging". maybe something similar may have happened with all those extraordinary historical accounts. -Needless to say. Stones tempered by nature fit better into the pocket of the sling. It is good in it with the promotion and departure, the superfluous will not hook. There are no such pebbles in my region. Making shells for sling, this is a passed stage. But if you carefully select the stones, they pretty, relatively accurately fall on the target. In a square 120x120cm with ≈20m, you can put five out of five. True. But I would like to see us define it. I already have my own definitions of what constitutes amature, journeyman, expert, master and grandmaster but I doubt people will accept it as they may see it as too difficult or even impossible to accomplish. I wish I could translate exactly what this fellow is saying. I can't tell if he's saying if the stones are good they consistently will hit 5 out of 5 or if he selects deformed stones but chooses the kind of jagged, deformed stones he prefers, then they will hit 5 out of 5. Either way it's sort of a moot point. I would not suggest anyone come to a conclusion on whether perfect ammo vs decent ammo vs deformed/jagged ammo makes a difference by slinging at a 120cm square from 20 meters away. That is far too big a target and much too close to come to a conclusion on it. Got to have a walk in the forest this morning with my girlfriend. Was lucky enough that she filmed a few throws. Here's a hit on a 12oz coffee cup from around 10m . One of those days too , average ammo (rocks slightly smooth). Good grouping and a solid hit in less than 20 throws. Good day for bad ammo. I think I agree with you that crappy ammunition doesn't make much of a difference from close distances (which I'm inferring that was your point). But most of my slinging, and if I were hunting small game, is (and would be) from about 20 yards away and under. So, for the these purposes, I don't think that having crappy or consistent ammo will make much of a difference, if one has sufficient skill/practice. That being said, weight and shape are two different things. I'm talking mostly about the geometry, not the weight. I usually try to get similarly sized stones when just picking stuff up off of the ground (similar weight). Also, on the size of that guy's target. I'm pretty sure that everything he is using is a standard "Diana" (if I'm referring to it correctly still), or 50cm in diameter. He shows it with a measuring tape a few times in a few of his videos. It's hard to see that cup. Nice shot! I love these videos you post because trees and nature is my life. What beautiful scenery that is. And the slinging is great as well. So as an arborist do you spend a lot of time out in the forest? I always imagined they did more residential and commercial work. I have done it all from millionaires backyards to protected forests , I am the voice of the trees. But yeah the bush doesn't pay as well as the places with money but sometimes it's not about the money and about the trees . That had a lot better slinging in it than I was expecting. Good to see. Annoyingly, one of the few things I'm not able to take with me to the summer cottage this time is my staff sling which still needs some proper testing. Have to wait for better weather to come around before I can get to the spot I've been using as my range. stone shape is irrelevant...proper ammo placement solves that. note how in the slingshot test, towards the end the speed dropped...few realize that as you pull the bands back, they warm up...the warmer they get, the less retraction power that they have...or the longer they are held in stretched position, the more power they will lose on the snap back...that is why many who are really good with one do quick release shooting..
in the video the staff sling is presented as better than the sling. i agree with mersa a noob can use a staffsling much more easily than a sling. but the sling is much more versatile than the staff sling. Fowler is a showman. I talk to him frequently on another forum. I use to be a fan of him. Then he started selling out. But that's of the times, I guess. He actually annoys me know, but look at his channel. Invariably when I see channels like this put forward theories it's based on a newbies opinion of what is possible with the sling. In one sense it does get more people interested in slinging, but the other side of it is people who have little skill/knowledge of something giving opinions that people then take as gospel truth. The best one to one fighting style I can think of with either a sling or a staff sling is a normal slinger using a rotor. Especially if your 10-15 meters away and the slinger is fairly strong and fast, it will be very difficult to dodge a shot from that distance. I feel like this may be a stupid question, but, what’s a rotor? Yes, Sarosh is right. A rotor is simply a sustained spin until one is ready to release. This is opposed to a throw that always has a set amount of rotations. Think of the typical Hollywood depiction of a slinger. A rotor has the advantage of maintaining motion and tension on your sling indefinitely until you are ready to throw. If David started a rotor as he was walking towards Goliath he would have maintained an even spinning until the right moment upon where he would've pulled into the throw and immediately slung the stone. That's the benefit of a rotor. I'm with morph . I think the main advantage of using rotor techniques is being ready to shoot(ammo secured in pouch). But I'm not sure that it has much application outside of warfare. For sling hunting a more stealthy technique will likely work better than rotors. And target practice it really don't matter at all . yes, he used a short sling. it is said most likely to have been two straps of leather crossed like a sharp "x" . now the staff in his hand is another thing. a staff was used as, among other things, a range finder. staffs were not random sticks, well they could have been if they were worked on a little. they had a measurement system. according to the height of the person whom it would belong to and up to the next even cubit added. most were marked half way down, marked at one cubit from each end, as well as marked with the span and breadth of the hand on each or at least one end. it was for all purposes also a "measuring rod". when he had it in hand, holding out the skinny end towards the enemy to get the range. it helps when nervous...he was using it to measure off the distance as he ran up to the giant, rotating his short sling in the other hand. when he was the right distance, prolly two or three lengths of the staff or whatever he had practice a lot at, it was over. there is a guide to the staff in old jewish writings...it usually had a couple other lil tricks like that to it too.... some made their's as needed instead of carrying one all the time. they sharpened the end and made staves out of them, some with said systems on them and usually would throw them away when done. slinging groups would make walls out of them to stand behind when needed. like a wall off an old frontier fort. and have different length staves through out the camp for hand to hand problems, but mostly they just used them to dispatch the enemy wounded after battle. RS, where are you getting your information? Can you give a title or author? yes bill i most certainly can...it will take a little minute but i will work on getting that together and when it is complete will pm it to u. Could you post it here? the game is the ultimate in slinging games, witht he exception of playing war. it involves one certain type of slinging move called,(for a loooong time) "the floating backhand." the playing forum requires a small bit of a set up, but really is easy to adjust. each man, for the most part will have a slightly different webbing height...according to his personal 'full' cubit(measured from the bent outside elbow to middle finger tip, or two and a half spans of the hand. (span is used here to mean length and not full area or expanse as it also means) as a cubit and two and a half spans are virtual equal). so no one has advantage. the projectile leaves the sling, cannot go over the man's webbing which is set at his cubit in height and the longest thrown distance wins...it has to be done with the floating backhand only which requires a certain hold and follow through....the entire maneuver feels completely unnatural but is call by the name that it is because when the projectile is released it floats a cubit or less off the ground for as far as it can go(if it touches the webbing it is disqualified, if it goes out of bounds sideways or touches the sticks holding the webbing, it is disqualified, and when it touches the ground it is dead, i.e. rolling does not count towards distance.) as each man's height is raised or lowered according to his own body, no one can claim disadvantage one way or another....it is supposed to be the deciding factor of who has the best working understanding of slinging dynamics...today i got, and with my non dominate hand i might add...approximately 16 metres,(i had no webbing but was easily within height) a new record for me...when i do the video to show how it is set up, i will offer a trade forum challenge, prized for any who can beat my distance, which will be recorded at the time of instruction and show u the results. side note: the same source in which i got this and the staff info. also lays out, what it calls, the proper sling to body size measurements. but i will hold that down for now as well. iow's i am going to wait on much of what i have to say until the videos to keep assertion slinging loudmouths at bay. i will post them on youtube and perhaps leave a link here. Ok. In that case, Bill, once you get the information could you post it here? Thanks. Why can't you post that information that has been requested here? In mutiple posts across this forum, that you have done. Multiple people including myself has requested you post links to information. To which you haven't done it yet. Also when you started on this forum, a few members had issues with your attitude, that you are the ' all knowing sling master' which if you can't backup your information to what you stated. It seems you are pulling this information out if thin air. This forum is for sharing knowledge, and discussing it. Not picking random stuff from your 'secret ' crystal ball that has connections to the past. For what it's worth, I'm always willing to be persuaded, though I know that's probably not high on your list of priorities. If this video does indeed come out with compelling information and target slinging skills to back it up I will be delighted. But...based on 7 years on this forum and reading some pretty wild claims with virtually no proof, I have to say it's hard not to be skeptical at this point. I really don't want you to feel attacked or anything RS, it's just if someone came to me and told me they have a treasure map that leads to a chest that's full of jewels but they don't let me see the treasure map or go with them to find the chest and they never show me any of the jewels I'm going to start questioning exactly how real the map is. I can't think of a single reason why posting sources on this forum for others to read and investigate for themselves could ever be a problem unless those sources don't exist. Maybe I'm wrong and there's a perfectly good reason as to why you've evaded the question of exactly where you are getting your information and refused to simply post the titles of the books you've read or any of the authors who are so learned in slinging. Maybe there is a good reason but you haven't even offered any reason other than it's "difficult". I could well be eating my words once these videos come out and you actually share the information you say you have access to but I still don't understand why you can't share it now. Please, if you can't actually give us sources tell us WHY you can't give us sources. It would seem so. Maybe he's still working on those videos as I type and they're going to entirely revolutionize slinging, the reference list stretching off into infinity, but somehow... I doubt it. Probably to my detriment I always have a little razor thin slice of hope that there will be some video showing something at least. Not just for his claims but for all the people who come on here and make these over the top claims of some new and improved this or that. RS, if you're out there, please make that video. I would be absolutely thrilled to see slinging, as you mentioned, that was so much better it almost isn't even the same sport. No sarcasm there, I would be thrilled. i have for sure found another rock mutation recipe....let's see if i can post it and how long it takes to catch the attention of home land security to get here...lol i'll go ahead and do that now in the goliath forum. somebody give it a try and see what happens! RS you truly are the Neo of reference dodging. I'd say he's even more adept than Apex. If you're having trouble with the corn I suggest you steer clear of the Project Goliath subforum all together. All I wanted was a picture to the two pieces of leather crossed in an "X" fashion. I thought he had found a new type of sling and I just couldn't understand how it worked. I still can't make a cestros or a staff sling work worth a hoot. When I try, it's safer for everybody to be a long way away. Probably including myself, I probably have the dubious award of almost being the only guy to almost kill himself with a cestros dart. I managed to hit myself with the flat instead of the point. max distance hit was 18m i think. Just so everyone's aware: "Corn" in old English and even in some current usage refers to any grain. In the US, we refer to Maize as "Corn" while in Europe it was wheat for hundreds of years. Alternately, corn could also mean barley, rye, oats, or others. In biblical terms, it could have been a number of things, but would certainly refer to the most common grain plant of the region involved. Sarosh I'm liking your Byzantine, big improvement ?? I know that, but I do not believe RS does . If he did, why would he call the grain corn? I tell ya... I believed it all until the corn part. Magical exploding slingstones and Jesus the Holy Noodler aside, it was the corn that broke this camel's back. The Turkey throw is legit. I've tried it out a few times but you need the right length sling to maximise the efficiency of it. So I guess that's why it's sort of a shame it turned out the way it did. Trolling 101: don't get so wrapped up in the nonesense that you can't distinguish the real from the BS anymore. He went too deep too fast. There was no getting him back. Slingception. what is the "turkey throw"? It actually first came up in RS's intro post. Mersa made a video (because RS was entirely incapable of such a feat...). seems like a greek style variant with a more difficult starting position , so why not greek style? Might have to revisit the turkey. Hahaha ya that guy..... I usually just skipped over his comments but I might have to go back and check out this Turkey throw. So it’s just a different starting position? Mersa and Sarosh you guys are killin it! So how about a different challenge with October approaching! I agree. Great idea Tomas. Nope that's not true either. Were it not for my schedule, the rain and these BUGGERS. I tried going for my jog yesterday. Its been raining for the past week. I knew they would be bad. But I literally coated myself from head to toe with DEET. No good... They were everywhere. It was madness. I ran like I've never run before, made it about 5 mins out and turned back for home running for my life. Rain and all my time is taken up. Any free time I do have is being used to recover from my non-free time and dragging myself outside is a mountain I can't overcome right now. This is only going to last another two and a half weeks. I'm clinging to that right now. I need a holiday. 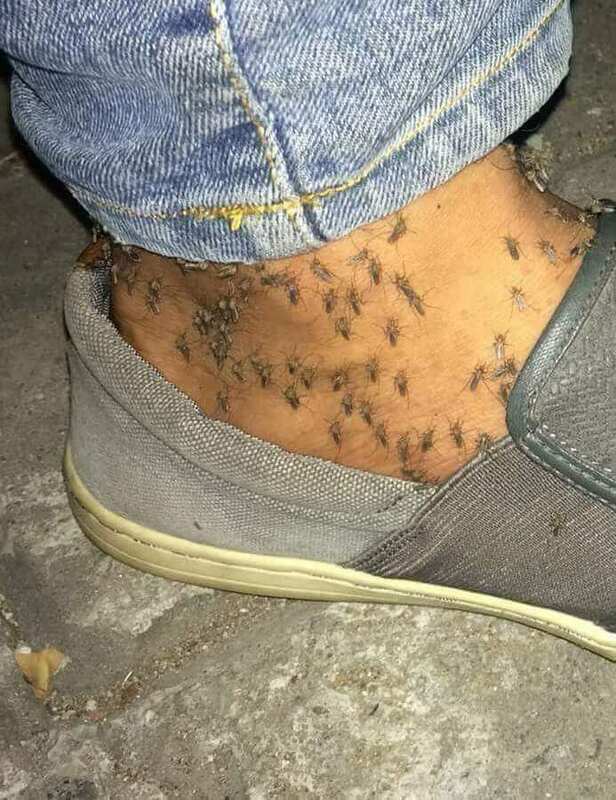 I’ve never seen mosquitos like that! Christ!!!! Well, it’ll be weeks before the pumpkins show up in store so I’m not rushing anyone! New thread for this might be a great idea. The person that sent me that pic said it's from the Texas City d**e, a popular fishing spot near my area. Not sure if that's true or not but considering how bad the mosquitos are there at normal times I can imagine what it must be like at dusk on the d**e right now. I’m going to practice from 10-15 metres later and see how that feels. I remember Luis’ Pons Livermore’s video where he was shooting at 25 metres and even he only got a few hits. So I do like the pumpkin challenge. I also think we need a pumpkin pie challenge. Which is essentially whoever can eat the most pie while slinging, holding a sling, or even just being in the general vicinity of a sling. If you can't justify the calories we can just say it's a benefit for the children. Whos children and how it benefits them is irrelevant. It's for the kids. This and the obesity challenge are in my top ten. All this clean living is for the birds. Give me a beer and a pizza and I'll take that challenge any day. Again, to be clear, I don't want to, but for the kids I will. So who thinks we have enough people to start a new thread of challenges ?? I have been practicing. I wasn’t able to hit my soft drink cup but I would have def hit pumpkin a few times! Nice sling ,jumper and slinging . Let's say . One pumpkin as many hits as you need , try make a face. Compare jack o'lanterns???? Sounds like a fun challenge for anyone who can get a cheap pumpkin. Lol awesome Tomas. I'm jealous guys. Have fun. I may drape a cheap tablecloth or yard of cloth behind the pumpkin so we can see the pumpkins splatter. Thanks for the kind words you guys. In all honesty I used to be better but I don’t sling all the time like I used to. Btw, did anybody notice that my slinging got better when I switched slings a little over halfway through? It’s a noticeable difference how much better I am with a sling I designed for myself no matter how good the other sling may be! So with Christmas almost here and the year coming to an end perhaps we could create a new challenge or even a yearly schedule of online events . 4th of July ??? Financial year?? Solstice?? Clearly the Easter egg challenge is to catch the Easter bunny!?! I was thinking 10m+ hitting an egg on camera, or throwing a chicken egg for distance ?? Or as many eggs as you can hit in a minute?? This is all up for discussion . We could do a New Year’s Eve fireworks compilation or even 4th of July! Easter challenge: how far can you throw a mo'ai? or more realisticly, the most decorated slinstone? I paint mines in flashy colours for easier retrieving. So I guess it's easter every day for me. I actually quite like this one. I vote for this :D Bonus points if you score a good hit on a target with it. That does sound like fun! I think CA might have a leg up on everyone else with his fancy laser burner though. 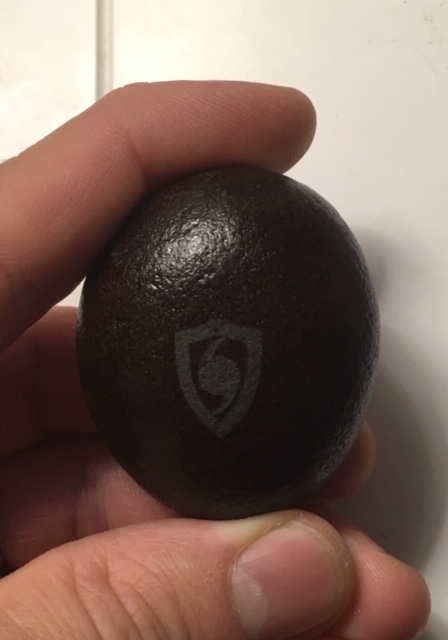 Here’s a rock I polymerized and then etched with a cheap laser a few months ago. With a good laser you could make some awesome looking ammo. My girlfriend and I shared the rabbit :D I think I hit it directly in the face and completely decapitated it. I had wrapped it in clingfilm in an attempt to keep the delicious innards together but the sling stone cared not for my plans. Most of the chocolate was saved but a fair few chunks were scattered. One thing I learned was that my accuracy hasn't been too negatively effected by the winter break. I'm still not as good as I would want to be but, for 20m distance, and such a small target, I didn't do too badly I think. I'm still no Jeagoor though. The bolas is a lot easier to throw and I spent another hour or so practicing with different throwing techniques. I only had the one short video because the camera battery was dying but I'm hoping to go out again some time soon and get more bolas footage.